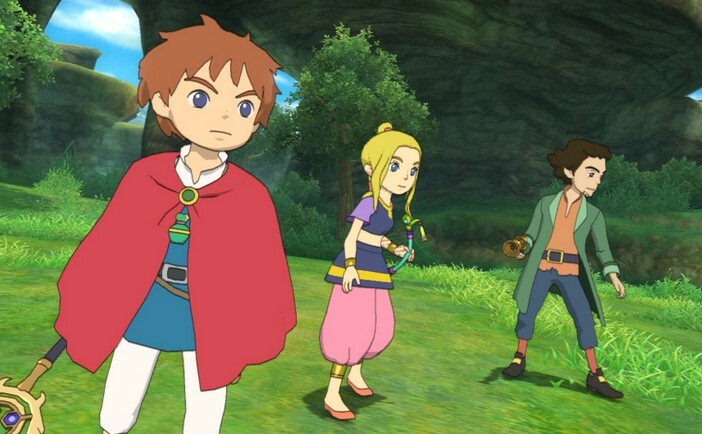 When you actually stop to think about it, it’s actually pretty amazing how much is happening in the story line of the video game Ni No Kuni (or otherwise known as ‘Another World’). It’s not that such intricate stories don’t exist (they do), it’s just that they are rare and then even rarer in the case of story lines for video games. Sure, in recent years, game designers have certainly tried to give gamers more and more freedom within the game in various ways; they have even tried to not mash together story lines and have gotten better at giving the plot a logical sequence (meaning that a story or incident in a video game won’t make us grimace much when we pause for a moment to think about it). However, to use intricate and complex story lines in a video game is still fairly new – and that’s now! And this game was first released a few years earlier, so imagine what a difference it was then! Well, at least it’s no wonder why the game gained so much of popularity and acclaim. On that note, this article is going to focus on the villains’ back stories. Why? Well, one reason is because it’s rare in video games to have such well thought out back stories for villains . . . and another reason is that it’s just plain interesting to know! On Shadar’s final defeat by Oliver and his group, his past is finally revealed, explaining how he came to the state he was in now. It turns out that he was once a soldier, and one more moral and merciful than most: For he saved a young girl against his superior’s orders. However, in consequence, his superior decided that he deserved to “be made an example of”, and his entire home down was invaded and all of his friends and family killed as well. Drowning in grief and despair over the injustice and his loss, it was then that the White Witch reached out to him and encouraged him to “embrace” his grief and despair. He followed that advice, and in embracing such deep torment and letting it consume him, he became the Dark Djinn or Evil Wizard Shadar. However, as he lay dying, the great mage Alicia, the one who he had captured and the one who would (had?) later travel forward in time to give birth to his soul mate, Oliver (who is the game’s protagonist and is key to his defeat), communicates with him in his final moments. And that’s when Shadar realises that Alicia, the great mage, is the same young girl that he had saved at that time against his orders. Finally finding peace within himself now, Shadar uses the last remaining vestiges of his power to sever Oliver’s ties to his life (as his soul mate) and consequently saves Oliver from dying with him. And thus, Shadar, defeated, dies a hero, showing the same light of compassion he had before in saving a young girl in the midst of a cruel war. The White Witch, who is the group’s next opponent, was actually a Queen named Cassiopeia who had ruled over a thousand years ago. After her father’s death, the council of 12 called the Zodiarchs manipulated her in order to rule the country. Cassiopeia was a kind Queen who put her people first, and, feeling helpless with the Zodiarchs’ control, misunderstood the manna spell to bring peace and prosperity to her people and cast it. However, the manna spell turned all the people (including the council) into undead-like beasts and soon died, leaving Cassiopeia alone alive and alone to wallow in despair. The spell, along with the madness that came out of her despair, separated Cassiopeia into two people: Pea, who was the kind version of the queen and who could purify the manna, and the White Witch, who was driven mad with despair and believed everything should be destroyed in order to remake the world anew. On her defeat though, the White Witch and Pea fused together and become the kind queen Cassiopeia again. And she decides to live her life making amends for her past actions.